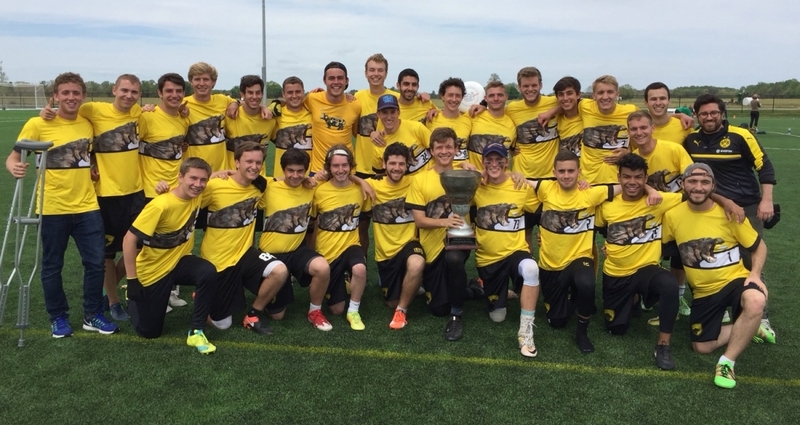 The GW Men's Ultimate Frisbee Team is a club sport team at the George Washington University in Washington, D.C. The club practices 2 to 3 times a week and travel to 5 to 7 tournaments per semester. These tournaments are located across the country, including Atlanta, San Diego, Las Vegas, the Carolinas, and elsewhere. We are a very competitive team, with the goal of making Nationals every year! GW made an appearance at Nationals in 2004, and missed a 2005 & 2006 berth by one game. Despite our high level of competition, we remain committed to spreading interest in the sport, and thus, we welcome all athletes who have prior experience as well as those who don't. We invite anyone who is willing to make the commitment to come to practice and get better week in and week out. We also field a less competitive team: designed for those new to the sport, looking to improve on their skills to play on the next level, or just to have fun! You don't need to have any experience, all you need is the right attitude. You'll have fun, play hard and make some great friends.